“The need for heightened nuclear security has now become urgent.” Picture shows the Kudankulam power plant in Tamil Nadu. This week, Prime Minister Narendra Modi will touch down in Washington, DC for the fourth and final Nuclear Security Summit, a biennial conference series initiated in 2010 by the Barack Obama administration. Mr. Modi will no doubt seek to showcase India’s nuclear regime as one that adheres to the highest standards of transparency and safety through rigorous regulation of nuclear products and institutions. Although that would be welcome, what Mr. Modi’s interlocutors in the U.S. may be hoping for is that he will break with India’s tradition of maintaining a masterful silence on two questions surrounding its nuclear policy. First, how can India address disquieting signals that have emerged in recent times, which point to growing concerns over the security of its nuclear materials? Second, at a time when India’s macro strategy of rapid economic development is premised on a climate of neighbourly peace and stability in the region, is it not appropriate that Mr. Modi call for an end to the nuclear arms race in Asia, and address environmental risks of India’s covert weapons plants? Let us consider each of these questions in turn. An article in The Conversation recently argued universities should ban PowerPoint because it makes students stupid and professors boring. I agree entirely. However, most universities will ignore this good advice because rather than measuring success by how much their students learn, universities measure success with student satisfaction surveys, among other things. Today we continue my series of open letters to the presidential candidates. In the meantime, we’ve drawn a little closer to knowing whom the two major parties will nominate. A few people are vowing to consider minor parties, too. In any case, whoever replaces Barack Obama will face a world of challenges. The good news is that most (not all) of the challenges are manageable – given the willingness to make very difficult choices. Remember, in this letter we are focusing on the economic realities that the new president will face, and those realities will force stark choices in other arenas such as healthcare, defense, and geopolitics. The economic picture is unequivocal – more so than in any era since Roosevelt – and will compel the president to either choose among merely very difficult options at the beginning of his or her term, or to put off choosing and be left with only seriously bad choices toward the end of a first term. There will be no easy choices, and the process will be messy, but I think we’ll will muddle through. In Part 1 we looked at China and Japan. Part 2 covered Australia, India, the Middle East and Europe. That leaves Africa, South America, and North America. Let’s dive back in. When the first Russian pilots returned to Voronezh air base as part of the recently announced military drawdown from Syria, they were greeted with a hero's welcome. Russian women in folk costumes offered loaves of bread with salt. Robed Orthodox priests gave the pilots icons to kiss. Crowds carrying balloons, flowers and Russian flags hoisted the pilots onto their shoulders and tossed them into the air. It was a picture of patriotism, broadcast live across the nation. But that picture has changed throughout the years. The sentiment the Kremlin used to shape its interventions in Syria and Ukraine evolved from a kind of nationalism that was often used in the early years of President Vladimir Putin's government. Rabid and inspired, it was based mostly on civic patriotism and duty. Today's nationalism, on the other hand, taps into the deeper identity of the Russian people - their sense of moral virtue, their survival instinct and their belief in Russia as a global power. Nationalism has rallied in tandem with popular support for Putin and his administration. At the beginning of 2016, Putin's approval rating was 81 percent, just shy of the all-time high of 86 percent. Social sentiment in support of the country is also at 82 percent. This comes as Russia remains mired in its second recession in seven years, it is under continuing sanctions by many global powers, and it has failed to prevent former ally Ukraine from shifting toward the West. Early in his presidency, Putin laid a foundation of national support for himself and his government. He was seen as the savior of Russia, stabilizing the country after the chaos that followed the Soviet Union's collapse. He promised a future of stability and wealth, along with a return to global power. In return, the Russian people offered loyalty and a willingness to disregard the administration's heavy hand. As the Russian state consolidated most major aspects of the economy - including energy firms, media outlets and the telecommunications industry - the Kremlin vilified the oligarchs who had previously run these industries. The state promoted the idea that it was taking over businesses to make Russia strong again, while the oligarchs were only in it for personal gain. In security matters, Putin blamed the failure of the First Chechen War on his predecessor, and Moscow clamped down on Chechnya, launching a second war. Today Chechnya is fairly stable, and terrorism in Russia is at its lowest level in decades. Moreover, the Chechen leadership is fervently loyal to Moscow, something unimaginable a decade ago. Over the past 10 years, the Kremlin harnessed religion as an important tool to foster nationalism. Russian Orthodox affiliation under Putin has skyrocketed: At the start of the 1990s, less than a third of Russians considered themselves Russian Orthodox, as opposed to roughly 72 percent today. The Orthodox revival gave Russians an identity after the years of uncertainty that followed the fall of the Soviet Union. The Kremlin has used this to its advantage, so effectively portraying support for Putin's government as a religious duty that the church is now seen as part of the state apparatus. Realizing that people born after the fall of the Soviet Union were growing up, the Kremlin started pro-government youth organizations in 2005 to instill a sense of nationalism in the new generation. These groups appealed mainly to lower-class ethnic Russians, giving them a sense of community and structure. The most notable group, Nashi ("Ours"), was created by current presidential aide Vladislav Surkov, who also helped design the plan for a stable Chechnya. At its height, Nashi alone boasted some 150,000 members. These strategies all hinged on the principles that the state was only as strong as its people's support and that, therefore, support for the state was a civic duty. And Putin's system used them to such success in part because Russia benefited from years of economic plenty at a time when a global challenger - the United States - was distracted with two wars. But nationalism can grow stale, particularly in the face of challenges. In air combat, numerical superiority generally wins over quality, meaning much larger forces of inferior aircraft may swamp even superior forces while suffering surprisingly small losses. That is why a blind quest for more technologically advanced AD aircraft without corresponding emphasis on their weapon systems is counterproductive. …missiles are getting more accurate and deadly and combat pilots need to employ all the skill and resources at their command to counter them. On July 17, 2014, Malaysia Airlines Flight 17 was cruising from Amsterdam to Kuala Lumpur at an altitude of ten kilometres. The route of the Boeing 777-200ER happened to take it near the Ukrainian-Russian border. It is hard to say what the passengers and crew were thinking but it is unlikely they were troubled by the possibility of a missile strike. Yet that is what happened. A Russian-made Buk missile, a self-propelled, medium-range weapon probably launched by pro-Russian separatists in Ukraine, hit the airliner and caused it to crash with the loss of all 298 lives on board. The downing of a civilian aircraft by a missile is reprehensible and thankfully rare. However, practically from the time a combat aircraft gets airborne during conflict, the pilot has to be alert to the threat of anti-aircraft missiles. 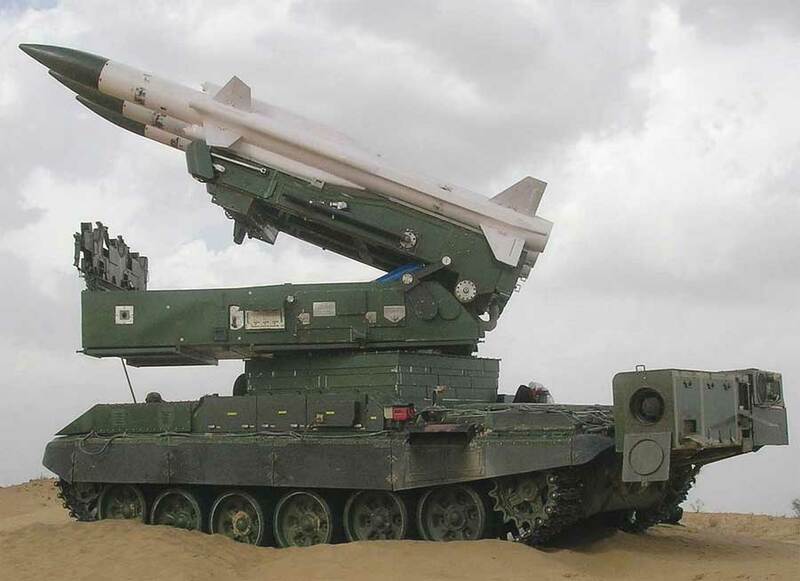 These may be Air-to-Air Missiles (AAM) launched from another aircraft or Surface-to-Air Missiles (SAM) fired from land or sea. Either way, missiles are getting more accurate and deadly and combat pilots need to employ all the skill and resources at their command to counter them. MBDA’s stand at DEFEXPO 2016 will focus on a number of messages covering both the product as well as the industrial advantages that MBDA is offering to India. 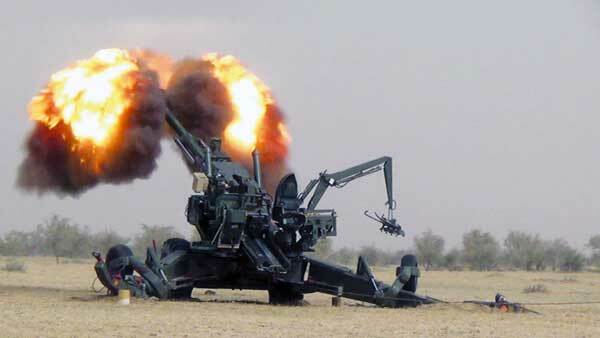 India’s defence forces need the very best and most advanced equipment to meet the many operational challenges facing the country. MBDA’s extensive product portfolio covering all three operational domains – air, sea and land is available to fulfil this need. Similarly, MBDA is striving to advance the government’s widely publicised Make in India policy. 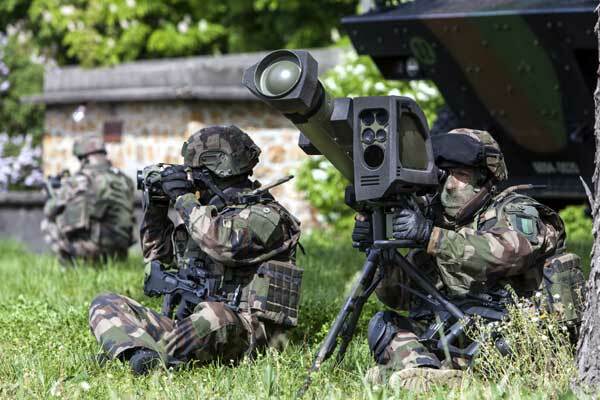 MBDA has the know-how, the experience of international cooperation and the latest guided missile and guided missile system technology which it is well prepared and eager to share with India. Make in India can benefit and make major leaps forward in progress by having access to the levels of advanced technology that MBDA has developed over many decades of advanced research and development. Dacca the Capital of East Pakistan was a natural fortress well away from the borders with India. On the west it was protected by the formidable Jamuna, which after its confluence with Padma was a very formidable water obstacle indeed. On the east was the formidable Meghna. The northern approaches were guarded by the Bramhaputra, a distributary of the Jamuna and Turag, another distributary of the mighty Jamuna, which also provided depth from the West. The Balu and the Lakaya rivers provided depth to Meghna in the east. The shortest approaches were from the west via Calcutta – Bongaon -Jhenida – Faridpur – Goalondo Ghat and from the east from Agartala. Pakistan’s 9 Infantry Division was responsible for defending the western approach. It had two regular and one adhoc brigade. The regular brigades, 57 and 107 Infantry Brigades were deployed in the Meherpur – Jhenida Axis and Bayra – Jessore Axis. Two infantry divisions guarded the eastern approaches. 14 Infantry Division in the north had two regular and one adhoc brigade. 202 Adhoc Brigade was located at Sylhet. 313 Infantry Brigade was located at Maulavi Bazar. The third, 27 Infantry Brigade, was located at Akhaura opposite Agartala. 39 Adhoc Division was responsible for the defence of the southern sector extending from Comilla – Laksham – Chandpur – Daudkhandi. This division had three brigades. 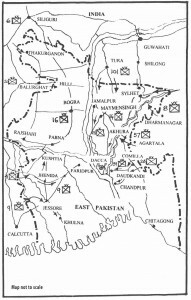 Pakistan’s 16 Infantry Division held the area west of Jamuna and north of the Padma called the Northern Area with headquarters at Bogra. 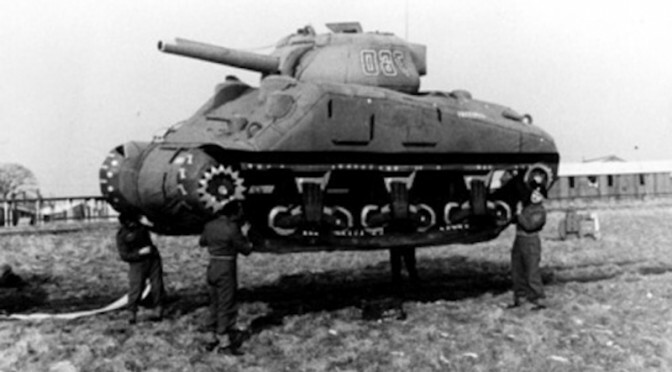 This division had three regular brigades, one adhoc brigade and four squadrons of armour. Though this area was not on the approach to Dacca, it had the maximum forces as it was appreciated by Pakistan that this was the area India would like to capture for setting up the Government of Bangladesh and resettling the refugees. The presentation of the Union Budget has often been an occasion for the broader strategic community to express its worries about the government’s so-called ‘apathy’ towards national defence. The 2016-17 budget, presented on 29 February, is no exception in this regard. This time, however, the worries are somewhat nuanced and focus on three major issues: Finance Minister Arun Jaitley’s break from the established tradition of saying a few words on defence services in the budget speech; defence’s historically low share as a percentage of the Gross Domestic Product (GDP); and the sharp reduction in defence capital expenditure, most of which is incurred on the procurement of hardware such as tanks, fighters, radars, missiles, ships, and submarines, to name a few. A close examination of these worries, however, reveals that they are either emotive in nature or unreasonable on hard facts. It is a fact that the Finance Minister did not mention defence allocation in his budget speech. Only the minister himself is entitled to defend why he did not. Pending his reply, it won’t, however, be unreasonable to say that he had enough justification to do what he did. Unlike past budgets, the 2016-17 budget has undergone a change in format for the purpose of resource allocations among the various ministries and departments. For the defence ministry, the change in format has resulted in consolidation of total allocations into four demands, in comparison to the eight earlier. Significantly, what has so far been commonly referred to as India’s defence budget, consisting of six out of eight demands, is now reflected in three demands, leaving defence pension as the only demand that remains unaffected in the realignment. Writing about ancient India is fraught with the risk of igniting rancorous debate, especially when the subject is as controversial as Kautilya. So, at the outset, a few disclaimers are in order. Kautilya was no social reformer. He did not question thevarnashrama system, and he privileged Brahmins over others. No, Kautilya did not discover all modern economics and political science. He did not prove the law of comparative advantage, the existence of Nash equilibrium, the welfare theorems, or the median voter theorem. Nevertheless, he was far ahead of his time in his understanding of economics, social contract, politics, and international relations mainly because he was a positivist, centuries before the term was invented. He took human beings for what they were and not what one wishes them to be. Although he did not go so far as Nietzsche in arguing that “there are no moral phenomena, only moral explanations of phenomena,” his writing and analysis are shorn of maudlin sentimentality or pious invocations of morality. Consequently, he was able to arrive at conclusions that foreshadowed developments in economics by more than two millennia, and many of his observations stand up remarkably to modern scrutiny. The United States has an enduring interest in India’s economic and military rise. Just last week, Admiral Harry Harris, commander of U.S. Pacific Command, called the U.S.-Indian relationship “the defining partnership for America in the twenty-first century,” encouraging India to step up its joint military activities with the United States as a signal to China. Yet India’s use to the United States depends, in part, on how it marshals its impressive economic growth to invest in new defense capabilities. And on that score, India’s new budget raises troubling questions. New Delhi, which has the sixth-largest defense budget in the world, will spend at least $50 billion on defense this year. That is roughly 1.8 percent of projected GDP and up three percent (adjusted for inflation) from last year. But there is reason to doubt that such spending will boost itsmilitary power in the near term. For one thing, the costs of military pensions have soared, crowding out badly needed investments in defense modernization. In the last decade, military pensions have grown, on average, by 12 percent each year. Pensions once made up only ten percent of the defense budget; they now represent a full quarter of defense expenditures. Recently released files recovered in Osama bin Laden’s compound show that parts of the Pakistani government made attempts to negotiate with al Qaeda in 2010. The letters were released as evidence in the trial of Abid Naseer, who was convicted on terrorism charges by a Brooklyn jury earlier this month. One of the files is a letter written by Atiyah Abd al Rahman (“Mahmud”), who was then the general manager of al Qaeda, to Osama bin Laden (identified as Sheikh Abu Abdallah) in July 2010. The letter reveals a complicated game involving al Qaeda, the Pakistani Taliban, the brother of Pakistan’s current prime minister, and Pakistan’s intelligence service. “Regarding the negotiations, dear Sheikh, I will give you an overview, may God support me in this,” Rahman wrote. “The Pakistani enemy has been corresponding with us and with Tahreek-i-Taliban (Hakeemullah) for a very short time, since the days of Hafiz, may God have mercy on him.” Hakeemullah Mehsud was the head of the Pakistani Taliban at the time. The “Hafiz” mentioned is Mustafa Abu Yazid (Sheikh Saeed al Masri), who served as al Qaeda’s general manager prior to his death in May 2010. Rahman succeeded Yazid in that role. “We discussed the matter internally, then we talked with Abu-Muhammad later once we were able to resume correspondence with him,” Rahman explained. “Abu-Muhammad” is the nom de guerre of Ayman al Zawahiri. As a result of these discussions, al Qaeda was willing to broker a deal in which the jihadists’ would ease off the Pakistanis so long as the military and intelligence services stopped fighting al Qaeda and its allies. Al Qaeda’s negotiating tactic was simple. Either the Pakistanis leave them alone, or they would suffer more terrorist attacks. Rahman’s letter reveals how bin Laden’s men sought to convey their message. They relied on Siraj Haqqani, the senior leader of the Haqqani Network, which has long been supported by the Pakistani military and intelligence establishment. A couple of unfortunate ways of thinking about terrorism continue to plague discourse about the subject and create a political environment that encourages destructive policy responses. One is to conceive terrorism not as what it really is—a tactic—but instead as an identifiable group of bad actors: “the terrorists.” These bad guys are thought of as, if not having a permanently fixed number, then at least having identifiable limits that separate them from everyone else. Wipe out the bad guys, goes the thinking, and you've wiped out the terrorism problem. The other common habit of thinking is to identify international terrorism with whatever named group has most captured our attention and elicited our fears. This used to be Al Qaeda; now Al Qaeda has been eclipsed to a large degree by the so-called Islamic State or ISIS. Once we become familiar with a scary name, invocation of the name anywhere triggers an impulse on our part to use force to wipe out more bad guys. This pattern of thought tends to confuse a name with an organization, and it reifies more of an octopus-like transnational organization than really exists. We are seeing some of the impact on policy of such thinking in the American political sphere with an expansion of U.S. military operations, or planning for such expanded operations, against self-declared ISIS elements in Afghanistanand Libya. This is in addition to continuing U.S. military operations directed against ISIS in Iraq and Syria. Where does such expansion stop? As long as the erroneous patterns of thinking prevail, there is no stopping point. If it's Afghanistan and Libya today, then tomorrow it's Cote d'Ivoire or Somalia or someplace else. If the impulse is to go after ISIS wherever we hear that name invoked, then there are no limits to the expansion of military operations. And what does such expansion accomplish? A few more bad guys get whacked, but this does not constitute stopping some feared expansion of ISIS. The organizational connections, such as they are, do not work that way. Most of the energy and anger that drive violent radicals who invoke the ISIS name in far-flung places revolve around contests for power in those places. The name is invoked because it currently is the most prominent brand name in the radical Sunni world, invocation makes it appear the local elements are acting on behalf of some larger cause, and this sort of linkage might help bring some sort of external assistance to their fight. Meanwhile, the expansion of U.S. military operations inevitably involves an increased drain on U.S. resources and attention. 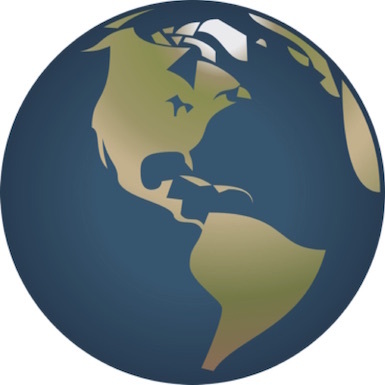 The expansion can be counterproductive in causing more of the collateral damage that stimulates more anti-U.S. anger that feeds anti-U.S. violence. The expansion also can upset efforts to bring some stability to conflict-ridden places where radicals have exploited the chaos. This is probably the case in Libya, where international mediation efforts are just starting to make some delicate progress in reconciling two competing factions that each have claimed to be the government. After closing coal mines, Beijing is halting the construction of hundreds of coal-fired power plants. But is it too late? The Chinese government is halting construction of hundreds of coal-fired power plants across the country, a major move that highlights the sudden and accelerating death throes of the fuel that powered the creation of the modern world. Beijing’s decision to build fewer coal plants than planned is the latest blow to the prospects of coal, which alongside crude oil remains the globe’s most important energy source. All the surveillance and intelligence gathering in the world won’t matter if you can’t stop people from becoming terrorists in the first place. Edit Schlaffer has been in Brussels this week for the graduation ceremony of one of her Mothers Schools, a network of seminars to train mothers as the first line of defense against radicalization. “We work with mothers because we believe that it is very important to start with those who are closest to the problem,” Schlaffer says. “They are the ones who register all the changes in their children, but usually they aren’t trained and equipped with skills and confidence to react so that it has an impact.” Schlaffer, who runs an NGO called Women Without Borders, has set up Mothers Schools in Kashmir, Indonesia, and Pakistan — everywhere Islamic radicalism has stolen children from their parents. Now she is starting them in Europe, and Brussels is the latest front, teaching mothers in Vilvoorde and Molenbeek how to deal with signs of extremism in their children. But Tuesday’s graduation ceremony in Brussels was canceled because of the explosions at the city’s airport and the subway station in Maalbeek. The irony of it didn’t escape Schlaffer. “The reason why we traveled here is the prevention of terror,” she says. As the Defense Department Chief Information Officer Terry Halvorsen stressed the importance of the department adopting Windows 10 earlier this week, the Army thinks the transition will take much longer than the Pentagon’s one-year mandate. Despite the gloomy outlook, the service is doing its best to get its legacy systems ready for the move to the new operating system, said Army CIO Lt. Gen. Robert Ferrell during a March 24 speech. The Army is also preparing for longer term plans by releasing a mobility strategy for industry in fourth quarter of this year, Ferrell said at the Association of the United States Army in Arlington, Virginia. Halvorsen signed a memo in November directing the rapid transition to the Windows 10 operating system starting in January, with the goal of completing deployment by January 2017. Ferrell said the biggest challenge the Army has in rolling out Windows 10 is the service’s legacy systems and making them compatible with Windows 10. The Army has hired Microsoft engineers to do an assessment of the systems and develop a road map and governance process for the transition, Ferrell said. Halvorsen told lawmakers in a March 22 House Armed Services Emerging Threats and Capabilities Subcommittee hearing this week that the transition to Windows 10 is critical. While the Army may not be optimistic about its transition plans, it’s making other plans for future technologies. Ferrell said the Army will release a mobility plan that will set a direction for unified action on mobility technology. DoD currently does not have a mobility strategy, but Ferrell said he is working with the department and industry partners to develop one for the Army. The mobility strategy will be similar in style to the Army data strategy, which was released earlier this month, and the Army cloud strategy released last year. … What turns people toward violence — and whether they can be steered away from it — are questions that have bedeviled governments around the world for generations. Those questions have taken on fresh urgency with the rise of the Islamic State and the string of attacks in Europe and the United States. Despite millions of dollars of government-sponsored research, and a much-publicized White House pledge to find answers, there is still nothing close to a consensus on why someone becomes a terrorist. At a recent conference marking the 30th anniversary of Wharton’s Risk Management and Decision Processes Center, experts in the field discussed new products and solutions for addressing challenges associated with current and emerging risks. Panelists noted that science and technology play a key role in improving the modeling of risks and developing strategies for reducing future losses and aiding recovery. There is no way to sugarcoat it: the European continent, long considered one of the most prosperous, safe and multicultural regions of the world, is effectively a battlefield in the war against international terrorism. Less than four months after eleven attackers perpetrated the worst act of violence on French soil since World War II, France's Belgian neighbor experienced a nightmare of their own during the morning rush hour on March 22. Strapped with explosive belts and reportedly carrying Kalashnikov rifles, as many as four men who are supposedly members of the Islamic State conducted three orchestrated strikes on two locations that were packed with travelers from around the world. Two suicide bombings in one of the world’s busiest airports turned the check-in counters into a scene of immense destruction, while a separate suicide bombing at a metro line in the Maelbeek district shut down the transportation system. When the grisly scene was over, more than thirty peoplewere killed and the entire city of Brussels was on lockdown. March 23, 2016 -- The bombs that exploded in the Brussels airport and at a central metro station on Tuesday morning, killing at least 30 people, came as only the latest in a string of terrorist outrages on a continent that is starting to see horrific violence as the new normal. Hours later the Islamic State claimed responsibility. This carnage must be seen in context: The United States and its Western allies are hitting the Islamic State hard in its bases in Iraq and Syria. The jihadist group may finally be on the defensive. But meantime, it is lashing out, taking its fight — and its struggle for supremacy among jihadists — global. Europe has emerged as a key battleground. Working with Western and Iraqi partners, American forces have pushed back the Islamic State. The group has lost an estimated 40 percent of its territory in Iraq and 20 percent in Syria from its peak in the summer of 2014. Major cities like Ramadi have been reclaimed, and Mosul, the Islamic State’s de facto capital in Iraq, may be next. American military officials say that the group has lost more than ten thousand fighters. These losses hurt the Islamic State twice over. The control of territory and the establishment of a “caliphate” is one of the big differences between the Islamic State and jihadist organizations that have preceded it. Qaeda leaders have long opposed such a move, arguing that it is premature, even foolhardy. The Islamic State, however, has gained legitimacy and popularity among radical Muslims by creating a “state” where they can live under their interpretation of Islamic law. Losing territory is a blow to its ambitions and legitimacy. Security measures at Israel's main airport, one of the world's safest, are vastly different from those in Brussels. But there is a tradeoff. TEL AVIV — For prospective air travelers, this is what one of the world’s safest airports looks like. The queues at Israel’s Ben Gurion Airport begin when travelers are still in their vehicles, shortly after getting off the highway, at what appears to be a multi-lane toll booth. Instead of a toll collector, however, two security guards greet travelers. One asks where they’re coming from, and another stands nearby with a finger on the trigger of a machine gun. That welcome is the first of at least five layers of security personnel who scrutinize, interrogate, and often search passengers before they reach the gangway to board their plane. The personnel include members of Israel’s police and border patrol as well as uniformed airport guards and armed plainclothes officers. The measures also include a system of racial profiling techniques that have raised allegations of anti-Arab discrimination from Israeli civil rights advocates. But security experts say that has helped prevent a major terrorist attack from being carried out at the airport for more than 40 years. "We can’t afford an attack. We aren’t a superpower. A terrorist attack at an airport is more than an attack, it’s a hit on the reputation of the entire country,’’ says Pinni Schiff, a former security chief for Israel’s Airport Authority. Wednesday’s bomb attacks in Brussels and at its airport renewed criticism among Israelis who say Europeans are too lax in the fight against terrorism and too “liberal’’ in their approach to security. Does Engineering Education Breed Terrorists? In May 2010, Faisal Shahzad hoped to kill dozens of pedestrians when he parked his Nissan Pathfinder near Times Square, loaded with improvised bombs. Four months earlier, Umar Farouk Abdulmutallab tried to bring down a trans-Atlantic flight carrying 289 passengers by igniting explosives sewn into his underwear. Last year, Mohammad Youssef Abdulazeez opened fire on two military facilities in Tennessee, killing five soldiers. Like Khalid Shaikh Mohammed, Azahari Husin, and Mohamed Atta, these men sought to commit acts of terror in the name of Islam. But all six also shared something else. They had studied engineering. Researchers have long noticed that an oddly large number of jihadists have engineering backgrounds. Recently two social scientists, Diego Gambetta and Steffen Hertog, scrutinized the numbers and concluded that, yes, the proportion of terrorists who are engineers far outpaces expectations. Why is that? The researchers, who have pursued this question for the past several years, offer answers in a new book, Engineers of Jihad: The Curious Connection Between Violent Extremism and Education(Princeton University Press). In the process, they join two current debates: about the seeds of terrorism and about the blind spots that can afflict engineering education. These debates coincide with the ascendance of engineering in the public eye. Graduates rank among the highest-paid right after college, and the discipline is praised as central to the nation’s military stature and economic competitiveness. Meanwhile, the study of terrorism, which is still a young field, is grappling with fundamental questions about root causes. Central to the debates are questions of causality: Do engineering programs select a certain kind of person, one who arrives on campus already predisposed toward acts of terror? Does something in these programs worsen some students' tendency toward extremism? Or is the relationship between terrorism and engineering simply an intriguing correlation with no deeper meaning? Gambetta and Hertog's research grew out of a class assignment. When Gambetta was a professor of social theory at the University of Oxford, he often asked his students to empirically investigate some seemingly random bit of trivia. Why, for instance, do science students live longer than art students? Why are people discharged from the hospital on a Friday at higher risk of dying or of needing to return to the hospital? Why have fertility rates collapsed in formerly Communist countries in Eastern Europe? One group explored the prevalence of engineers among Islamists. Hertog, then a doctoral student at Oxford, was intrigued. At a chance dinner one night, he and Gambetta agreed to explore the puzzle more fully. 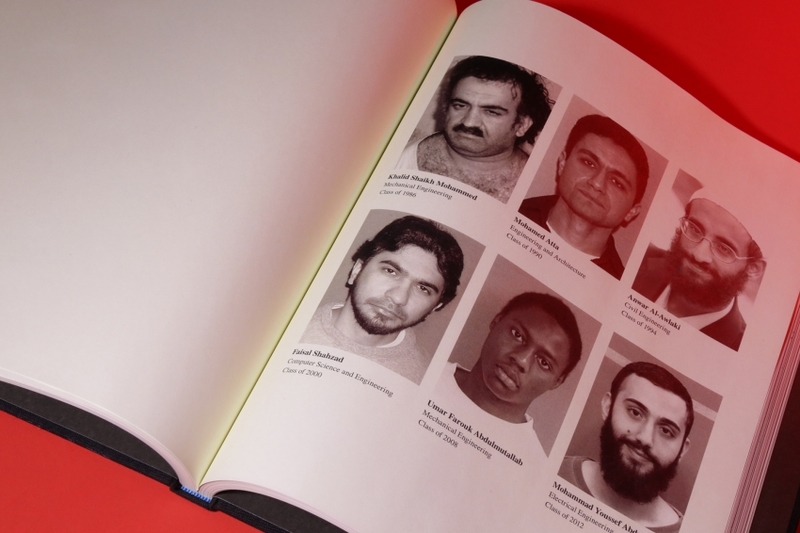 They began with a data set of nearly 500 Islamist extremists, almost all of them men, whose use of violence to achieve their goals dated back to the 1970s. The researchers narrowed their list to 207 people who pursued higher education and whose majors could be determined. A pattern emerged: 93 of them, nearly 45 percent, had studied engineering. This frequency far exceeded what would be predicted statistically; among male college students from the 19 countries represented in the sample, fewer than 12 percent studied engineering. Maj. Gen. Jerry Harris, USAF, vice commander of Air Combat Command at Langley Air Force Base in Virginia speaks at the inaugural TechNet Air 2016 symposium in San Antonio. While technology helped propel the U.S. military to outshine just about every adversary, failing to safeguard key developments just might lead to its downfall, warned Maj. Gen. Jerry Harris, USAF, vice commander of Air Combat Command at Langley Air Force Base in Virginia. At the vertex of much of technological advances has been emergence of cyberspace across warfighting domains. The heated debate between the FBI and Apple over the encryption of the iPhone used by Syed Rizwan Farook, one of the two people who massacred 14 people in San Bernardino in December, took an unexpected turn Monday when the FBI announced that a third party had come forward with a way to possibly unlock the phone without Apple's involvement. Journalist Fred Kaplan tells Fresh Air's Terry Gross that the third party in question is "almost certainly a private security company that specializes in breaking into systems." Kaplan, who writes about the history of cyberwar in his new book Dark Territory, has been following the Apple encryption debate closely in his Slate column War Stories. He says Apple's reputation for security made it "kind of inevitable" that a professional hacker firm would cooperate with the FBI in the effort to unlock Farook's phone. In early March, Brookings hosted dozens of economists to discuss new papers submitted to theBrookings Papers on Economic Activity (BPEA), the academic journal published by Brookings Economic Studies that has been informing public policy since 1970. The conference is known for introducing groundbreaking research. Just last year, a major BPEA finding from a study of student borrowers and loan defaults changed how we think about the student loan “crisis.” BPEA research has also informed several of the Federal Rerseve’s most discussed tools and processes, including quantitative easing, Operation Twist, and forward guidance. This paper is one economists will be talking about for years to come. We’ve known for a while that U.S. productivity growth has slowed, which matters because high productivity often translates into higher standards of living and well-being. Many have wondered if the slowdown can be blamed on our inability to measure technological innovations, but the new research tells us that, unfortunately, that’s not the case. World electronics production has seen an exponential increase. Telecom and data processing equipments are the two largest segments accounting for 25%, and 21%, respectively, of the total world electronics production in the year 2008. Industrial and medical electronics accounted for 18% share, and audio-video equipments accounted for 15% share in world production of electronics. Automotive (8%), aerospace & defence (7%), and home appliances (6%) are other sub-sectors in electronic production. The Indian strategic electronic industry has been able to meet the bulk of the requirements of India’s defence and paramilitary forces. There has been consistent growth in production of strategic electronics. In the year 2008-09, production of strategic electronics in India was valued at ` 6,840 crore, a growth of 20% over the previous year. The production data for the year 2009-10 is estimated to be ` 6,980 crore, registering a marginal growth of about 2%. However, this is much lower than the growth rate witnessed in 2008-09 over 2007-08. This was mainly because of reduced military spending in some sectors and the troubled global economy. At the national level, various research institutions are developing strategic systems, and the public sector undertakings and some of the private agencies are mainly contributing to the growth in production. It is expected that military and aerospace semiconductors are expected to witness growth in the coming years, as suppliers are likely to be looking forward for the end-product growth coming to the market over the next few years. This growth is due to technological advances which are driving the demand due to changes in national military policies, and as a result of the substantial backlog of undelivered orders in aerospace. Prior to the era of computers and consumer electronics, military electronics consumed almost all of the world’s semiconductors. Although the market share of military electronics in the consumption of semiconductors has been reduced, semiconductors nonetheless perform critical roles in the military electronics segment. In the overall industrial market, which includes military and aerospace applications, more designs are being used in digital signal processing, sensors, analog circuitry for automation, measurement, security, and other growing areas. While volumes of shipment in the end-equipments are lower and growth is limited, the increasing electronics content, requiring semiconductors, is driving an average growth of 5% per year for military / aero chips. The forecast for military and aerospace semiconductors shows that the year 2010 would be a growth year for this market, with revenue likely to approach US $ 2.6 billion. [Based on Exim Bank Report]. For one to de-construct the function, ability, and flexibility of the Office of the Director of National Intelligence (ODNI) as it relates to the ability of that office to facilitate anticipated future needs of information sharing, it is necessary to embrace the notion that current impressions and metrics likely represent a high degree of inaccuracy when used in a predictive model. Today’s varied and violent data movements with the associated methods and machines utilized in their dissection are multi-dimensional by today’s standards while remaining arguably flat when viewed through a historical lens. Even so, designation of and focus on information requires significant rigor that the current state of these efforts like the Intelligence Community’s Information Technology Enterprise (IC ITE) openly disregards. The questions of how and if are distinct and representative of varying levels of requirements and standards; a distinction of great importance and representative of a required synchronicity at the national level in any asymmetric assessment even outside of their effectiveness within an information domain. This constant considers the lack of implied weight amongst distinct queries, and depends on the lack of succession as a prerequisite surrounding the advancement of any argument either for or against the opinions and positions aligned within the following pages. Any study such as this considers standardized offerings such as training, policy, relationships, definitions, and overall effectiveness while intimating or stating specific limitations underlying all. Given the varied directions, requirements, and mandates of the body of agencies subordinate to ODNI these filters are only placeholders for a more strategic view centered around the physical state of information before sharing, however there are logical lines of thought that challenge the validity of the current information constructs that ODNI embodies. Lawrence Freedman opens his magisterial tome “Strategy: A History” identifying the elemental features of strategy across time as “deception, coalition formation and the instrumental use of violence.”[i] It is no surprise that “deception” is the first essential element of strategy. 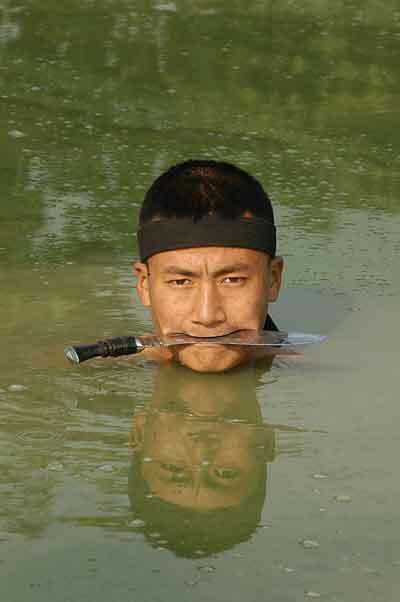 “War is uncertain business,” as Whaley notes in his opening introduction, and “deception is the only weapon that a warrior can wield that, to the extent it succeeds, will impose uncertainty and the element of surprise on the opponent.” Deception is ultimately about surprising one’s enemy. Much has been written about deception and its importance in war, and Dr. Barton Whaley (1928-2013) is almost certainly one of the preeminent authorities on the matter. However, it is one thing to appreciate the importance of deception and entirely another to craft deception operations in support of military plans. Thankfully, Dr. Whaley has left us with a guide. Practise to Deceive [ii] is designed with the planners themselves in mind, providing insight into the type of thinking and procedures that make successful and unsuccessful deception planners. 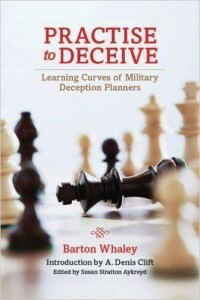 Early on, Whaley identifies the central role of commanders in deception planning and addresses important command and control issues, such as whether deception planning is best handled by the intelligence or operations cells in a military organization.